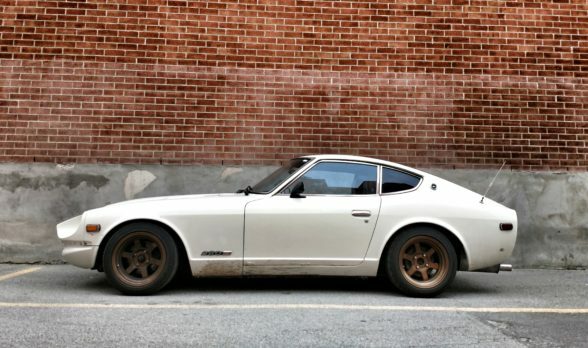 One of the reasons I bought my 1978 Datsun 280Z was because I was looking for a platform that was light, had strong aftermarket support, and was light-years away from the brand new cars I drive every day as an automotive journalist. I knew that putting a 40 year old car on a race track wouldn’t be as trouble-free of an experience as it had been with my previous track efforts – a 1995 Mazda Miata R package (sadly lost in a flood) and my (still owned) 2004 Cadillac CTS-V – which meant there was a lot of maintenance that had to be taken care of before I’d feel safe exposing it to a high performance driving environment. I was fortunate that I was starting from a largely rust-free car, and one whose engine was not only in good running order, but also fuel injected. This meant I didn’t have to worry about vapor-lock or futzing around with carb jetting at a hot race track, although I did have to track down a broken injector wire that was killing fuel delivery to a single cylinder. Still, that left a lot to take care of. I intended to focus my track build almost entirely on improving the Datsun’s suspension, and not worry at all about adding any power. Once I had the front and rear bumpers off the car it tipped the scales at a featherlike 2,200 lbs, which meant the 170ish horsepower made by the stock 2.8-liter straight six would be more than enough fun. Most older cars are facing two major issues when it comes to chassis upgrades. The first is flex – both body-on-frame and early unibody designs alike weren’t all that good at resisting torsional deflection, and the Datsun S30 platform in particular is known for its rather pliant nature. With an undercarriage that’s constantly shifting under the weight of the car as it’s flung from one corner to another, it’s difficult to maintain a constant traction patch with the tarmac, and it can render certain alignment settings moot as a result. A similar situation occurs with a vehicle’s bushings and mounts. Most OEMs use rubber as the material of choice for these components, which is fine if overall daily comfort is your end goal but not so great once you start to twist swaybars, control arms, and differentials under more extreme loads. It’s even worse if you’re looking at a vehicle that hasn’t had its bushings or mounts replaced in over a decade, because chances are heat and stress have loosened them up a fair bit or even torn them to the point where they are no longer performing up to spec. The solution for the latter problem – bushings and mounts – came in the form of a full polyurethane kit from Energy Suspension as well as a separate urethane transmission mount bar bushing. Poly bushings are much better at resisting deformation and heat than rubber, with the trade-off being that they’re noisier (think squeaky) and ride stiffer than stock. 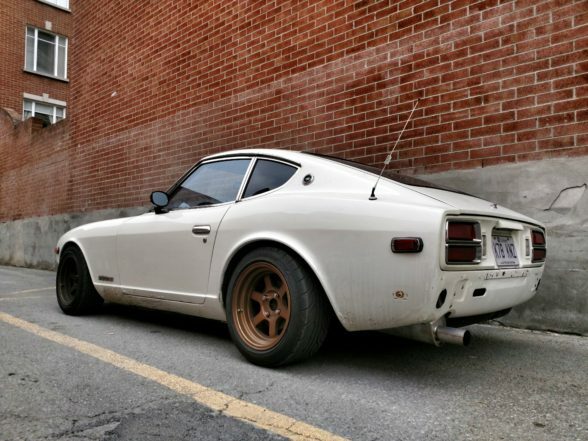 Neither was a problem for me, as the car didn’t have to pull daily driver duty and I honestly wouldn’t have been able to hear suspension squeaks over all the other noises coming from the Z at any given time. I’ve had poly bushings in all of my performance cars to this point, and I highly recommend them as a first step when considering a vehicle of any age for track use. Stiffening the chassis itself was a more complicated issue. The factory frame rails on the Datsun S30 don’t actually connect the front and rear subframes, stopping just short of the job, which meant that aftermarket solutions like the full-length rails I ordered from Bad Dog didn’t just deal with the corrosion issues I had on one side, but also helped add overall stiffness to the vehicle. Of course, it would have been better if the shop installing the rails had actually put both on instead of just one on the side where the rust hole had been cleaned up (I have no welding skills myself), but the fact that it took me nearly a full year to get the second side installed is my fault, and my fault alone. 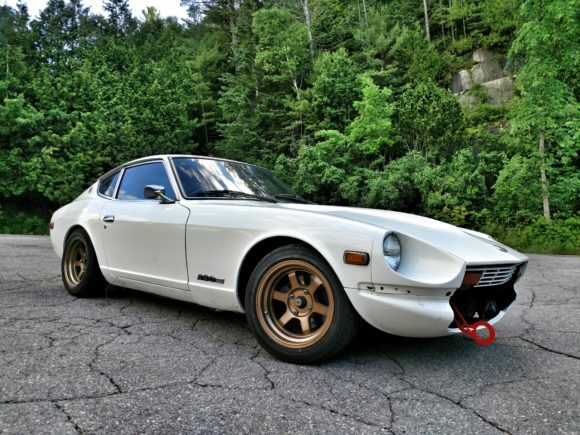 In Part 2 of this series, I’ll talk about the other maintenance I had to deal with before hitting the track in the 280Z for the first time – brakes, fluids, cooling – and mention some of the spectacular failures I had as a result of either not being thorough enough, or the car just being, well, old. In Part 3 I’ll loop back to suspension to look at what else I changed on the chassis prior to my first road course session in the car, and in Part 4 I’ll delve into the nightmare of tire and wheel consequences related to my suspension experiments. Nice write up on a great car! Your automotive tastes are spot on my friend! Good luck with this resto for the ol Lady!